Your life presents a wide range of challenges and you need a versatile SUV designed to confront those challenges and more. How can you combine comfort, cargo space, and power, with maneuverability and fuel efficiency? 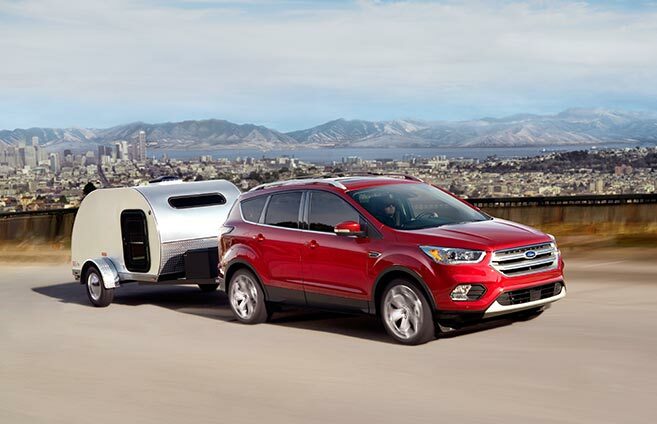 Some might compromise, but you don’t have to with the Ford Escape. 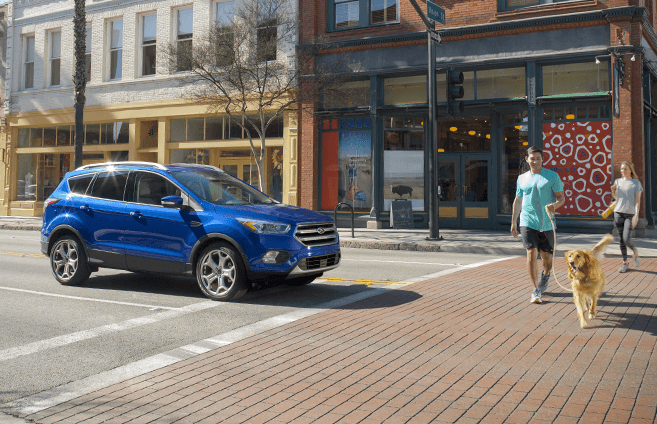 The Ford Escape has two available EcoBoost engines (as well as a 2.5L for extra power). The 1.5L EcoBoost iVCT gives you incredible fuel efficiency, while the 2L EcoBoost model comes with an advanced Twin-Scroll turbocharger, so your fuel savings don’t come at the cost of acceleration and power. When you add the available Intelligent 4WD that analyses your traction conditions every 16 milliseconds, you’ll be ready for highway cruising in the summer, and navigating an icy blizzard in the winter. 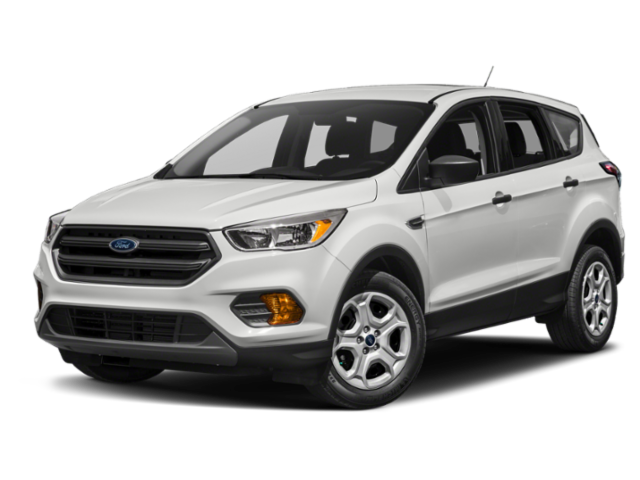 For the 2017 model, Ford redesigned the front grill, contoured the hood, and gave the Escape a more fluid body. They’ve also introduced a new centre instrument panel with a USB port and mobile device pocket, all with an emphasis on user experience. The information displayed on your console adapts to the current driving situation and is displayed clearly, so you can focus on the road. FordPass is a one-stop shop that makes any journey better. 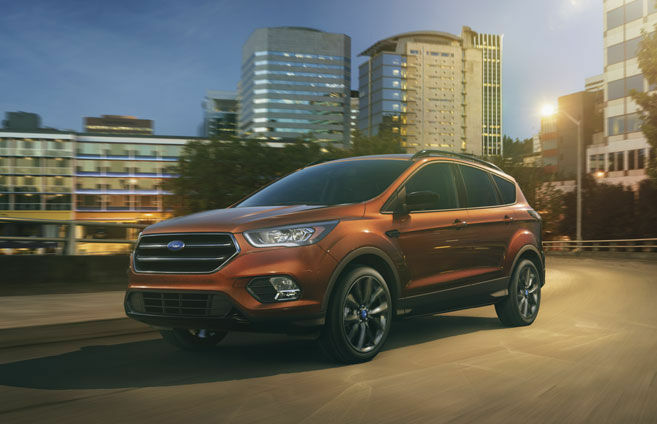 2017 Escape equipped with optional SYNC Connect allows you to check your fuel level or remotely unlock and start your vehicle. Schedule maintenance, request Roadside Assistance, locate your vehicle. And we’re just getting started. FordPass takes care of the details so you can just enjoy the drive. SYNC can keep you connected to your world with advanced communications and infotainment features. 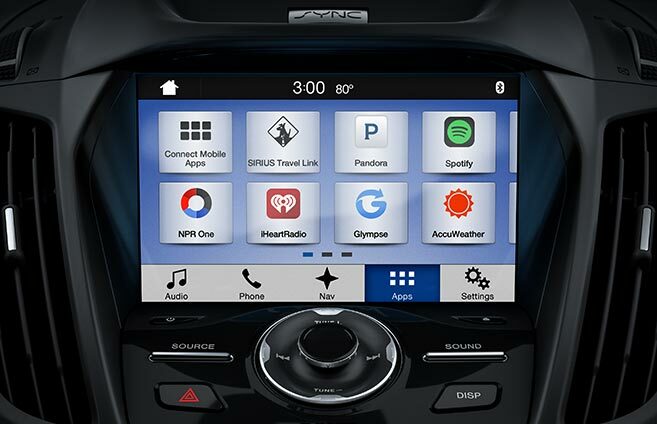 Upgrade to available SYNC 3 and enjoy enhanced performance, voice-recognition technology, larger 8-inch LCD touch screen and interface. 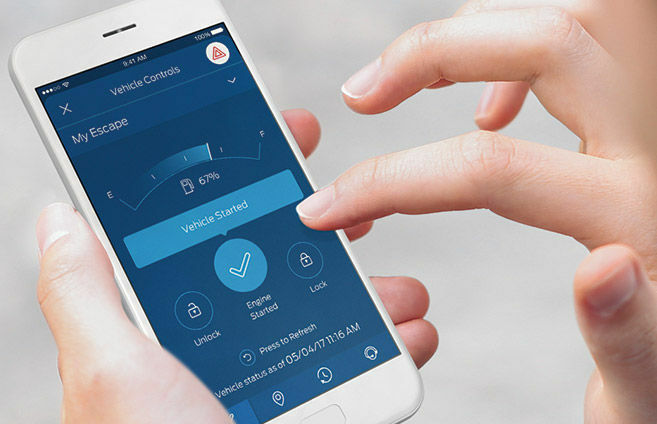 With a SYNC Connect-equipped vehicle, you can use FordPass to track your vehicle’s location and remotely access vehicle features such as start, lock and unlock and vehicle status including fuel level and approximate mileage. You can also schedule specific times to remotely start your vehicle so it’s ready to hit the road as soon as you are. The available 2.0L EcoBoost engine delivers more than high performance with its Twin-Scroll turbocharger technology. 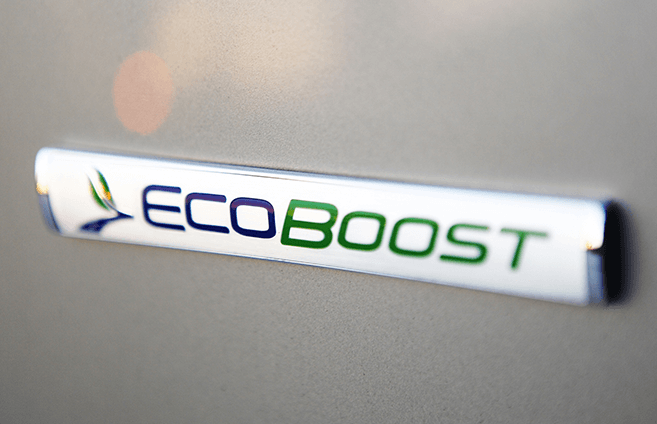 EcoBoost power enables another important capability for the adventurous Escape – a maximum 3,500 lbs. of towing (with the Class II Towing Package) to complement this versatile SUV’s spacious cargo capacity of up to 68 cu. ft.
As if Escape isn’t stylish enough, the Sport Appearance Package available on Escape SE or Titanium takes it to another eye-catching level. Unique black-out trim, sport seats, leather-trimmed shift lever and steering wheel, and more. 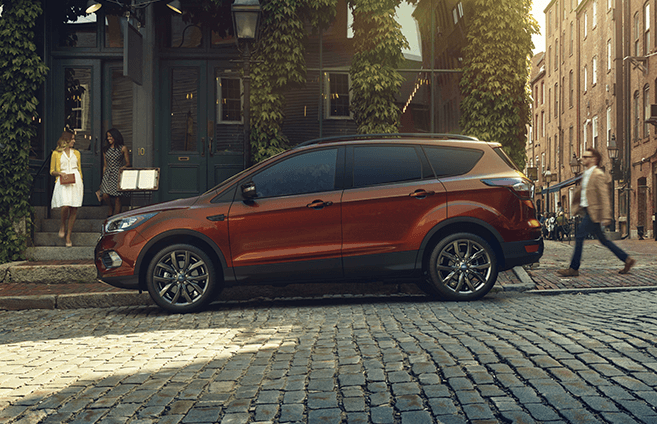 Turbocharge the looks of your Escape with the Sport Appearance Package.